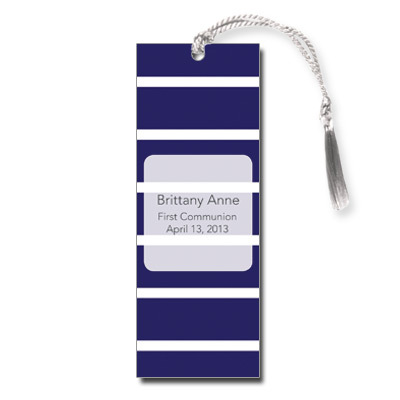 This communion bookmark has a royal blue background with white stripes evenly spaced horizontally across. The event info is printed in black in a white see through box with rounded corners. A perfect keepsake of your loved ones event. Bookmark measures 2x5.5 and comes with white tassels; light assembly required.